Michael R. Polulak, Esq. will attend the following lunch meeting. Francis J. McGovern, Esq. attended the following program. Daniel Shehata, Esq. of McGovern Legal Services attended the following program. Michael Polulak, Esq. of McGovern Legal Services attended the following program. Tiffany Byczkowski, Esq. of McGovern Legal Services attended the following program. McGovern Legal Services, LLC will be present at this conference. 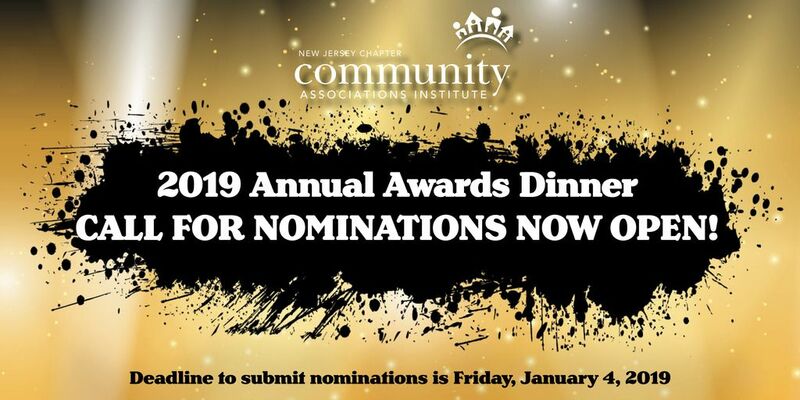 Each year, Community Associations Institute celebrates excellence in the industry during the Annual Awards Dinner. McGovern Legal Services will be present at this annual event. The CAI Law Seminar provides a unique learning opportunity to discuss emerging trends and legislative issues important to the practice of community a​ssociation law—as well as excellent opportunities for professional networking. Voted America's top turnaround mayor in 2016 for leading efforts on public health, infrastructure, and gun violence, Mitch Landrieu, a two-term mayor of New Orleans, has been named as the Wayne Hyatt Lecture Series keynote speaker for the upcoming 2019 Community Association Law Seminar in New Orleans, Jan. 23–26. McGovern Legal Services, LLC will be present at this Law Seminar. A new set of rules for the New Jersey Superior Court’s Complex Business Litigation Program were approved this summer and are in effect as of September 1, 2018. The proposed rules, based in large part on the Federal Rules of Civil Procedure and the rules of specialized business courts in other states such as NY and DE, are intended to make complex business litigation more efficient in the Superior Court. Damon M. Kress, Esq., Patricia H. McGlone, Esq., and David w. Merritt, Esq. McGovern Legal Services and JGS Insurance cordially invite Property Managers and Boards of Trustees to join us at Seasons 52 Restaurant at 217 Lafayette Avenue Edison, New Jersey at 6:00 p.m. on Monday, October 29, 2018 for our ‘The New Radburn Law” free presentation along with complimentary drinks and hors d'oeuvres. We will explain how boards can now amend their Association Bylaws without obtaining membership approval, and provide a list of amendments that will increase their Association’s cash flow and assist with reducing delinquencies. We will also review which resolutions boards should pass to reduce the likelihood of claims and tighten the Association’s budget. Seats are limited so please R.S.V.P. by October 26, 2018 by calling McGovern Legal Services at (732) 246-1221 or by email at lcorradino@theassociationlawyers.com.